Ruti Yudovich is the third and youngest child of Jewish-Russian parents. She was born Tel-Aviv in 1953 but grew up on a kibbutz and farming villages. In 1963, to her regret, her family moved from the farm to the city, Rishon Lezion, where she spent her teenage years. Ruti is a graduate of the Ben Gurion University with a BA in Geography and Education. 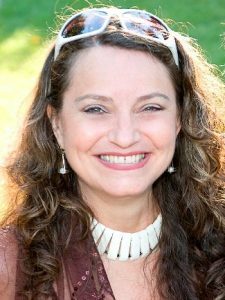 After a tragic event in 1980, she moved to Los Angeles and started a productive career of a Hebrew/Jewish educator. She then rekindled a lost dream and began to write her memoir I Hate to Say Goodbye which she published in 2013. After her first published novel: I Hate to Say Goodbye got rave reviews, Ruti was inspired to continue to write. 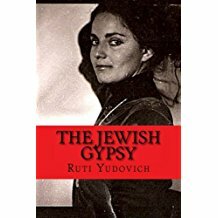 She has just published her second novel, a historical fiction––a dramatic love story (The Jewish Gypsy) between Gypsies and Jews during and after WWII. In addition to her novels, Ms. Yudovich published eight nonfiction books that are receiving rave reviews from people from all over the world. These books, based on her 35 years of tutoring Hebrew are: Learn How to Read Hebrew for Real; the series: Speak Hebrew For Real; Hebrew Binyanim Made Easy; Hebrew When to Say What?